A true perennial variety with yellow flowers. 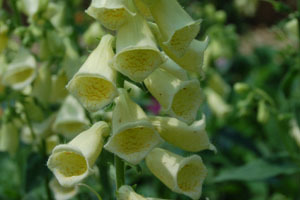 The creamy yellow, trumpet flowers have brown netting. Dark green, textured foliage is grand. This variety will return year after year! Hummingbirds love this plant. Deer and rabbit resistant.